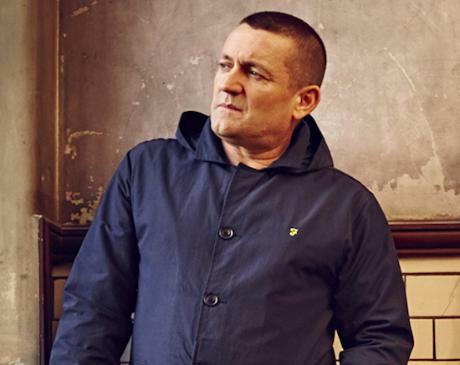 Paul Heaton ex of the Housemartins and Beautiful South guides Adrian Lobb through 13 favourite albums - there's a lot of soul in there, but which ones did he nick? Since May 1980, Paul Heaton has kept a monthly Top 20 of his favourite songs. "In the 1980s, it was what I'd heard on jukeboxes, or listening to John Peel on the radio – it was about collating what I was listening to at certain points in my life. More recently, it has been music from that month that is very current, that is out now," he says, when he takes a break from preparing to go on tour to consider his top 13 LPs. The former Housemartins and Beautiful South hitmaker is a collector of many things – from classic crisp packets to football scarves, hats, badges and pennants, fly swats and Do Not Disturb signs from the hotel rooms he visits during tours, autographs, political badges, negative newspaper stories about Jeremy Corbyn, text messages from a particularly amusing pal and photographs of lost kittens found on lampposts. The chance to compile a list of a mere 13 LPs? Well, it feels his whole life has been building towards this point. "I listen to so much music all the time," he says. "It was becoming very expensive to order albums. I was getting hundreds every month. I still go back through my charts. I am compiling them backwards at the moment from May 1980, because I have records of everything I was listening to from 1977 to 1980 from books and diaries. "I bought a Blue Beat compilation recently, and I used to buy a lot of these records – or pinch them when I was young – so I looked through my diaries to see when I first heard it. One day, Heaton says, he plans to release a diary of his lists, perhaps as part of a memoir – including his monthly music charts, the soudtrack of his life, alongside its story. "At the moment I am looking into what I was listening to when I was very young, at four or five, which means going through the official charts of the day," he says. "I remember singing 'My Old Man's A Dustman', which is from before I was born. I remember singing it and then hearing it on the radio. And I was convinced I had written it and the people on the radio had pinched it off me. I was convinced for quite a few years afterwards." In compiling his list, Heaton has tried to encompass his entire music collection – from the albums he'd steal from record shops as a youngster through to his carefully cultivated and notated iTunes playlists of today. "I listen to music as much now as ever. I am less of an artist person and more of a song person now," he says. "I think that is the way we have gone, generally. There is a lot of nostalgia, people listen to music in a very nostalgic way, but I don't, really. I don't spend ages going through old, old songs – I would rather listen to new stuff. I want to make sure I don't miss anything. I've always thought that about bands like The Beatles or huge bands in the charts. There has never been a reason to buy a Beatles album in my opinion. I've never bought a Beatles album. The reason being that I would know all the songs on it anyway – I don't understand people who follow the Beatles. My music experience is always about digging deeper than the surface and trying to find new stuff. "Whenever I went to Rome I never wanted to go to the Colisseum, it has always been there and always will be. I would much prefer to find new places that might disappear in a couple of years. People like to go on museum trips, I was never one of those, musically speaking. I want to discover new stuff."